ALBIGNASEGO, Padua, Italy — On Thursday 7th and Friday 8th February 2019 the first Diemme Academy Coffee Conference will be held, a business event with the participation of the foreign partners of Diemme Industria Caffè Torrefatti. 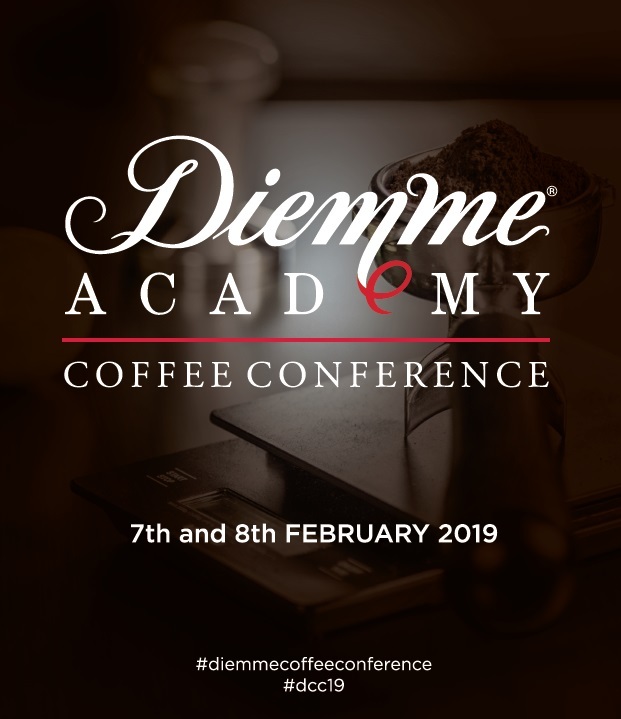 The venue for this intense two-day event will be Diemme Academy, the new training centre for coffee professionals; this will also be an opportunity to present the centre to the company’s international partners. The facility, which as from this year will offer a complete training programme for the world of coffee houses and similar businesses, including training to obtain the SCA and LAGS certifications, will also act as a reference point for sharing the company’s values and know-how with its partners, and therefore as a business driver on the Ho.Re.Ca. market at global level. The meeting will start with a welcome coffee at 8.30 a.m. on Thursday, followed by the opening speech and guided tour of the Academy by Diemme’s Chairman and CEO, Giannandrea Dubbini. Over the two days there will be speeches, interviews and opportunities for exchanging views on topical themes ranging from equipment and the importance of water in coffee making to the new challenges posed by the international market and shared development strategies. The speakers at the convention will comprise famous names on the coffee scene including the Italian Maurizio Giuli, Chairman of UCIMAC (Italian Association of Espresso Coffee Machines Manufacturers) and Marketing & Communications Manager of Nuova Simonelli, Yannis Apostolopoulos, Executive Director of SCA, in addition to the representatives of Diemme’s partner companies abroad, who will share their success stories with the participants. Diemme will also present a preview of the new projects dedicated to the international market, including the latest retail line “I Viaggi di Caffè Diemme”, and with the contribution of Davide Cavaglieri, Top Italian Barista in 2018, it will focus in particular on the project for affiliation to the coffee house franchise Caffè Diemme Italian Attitude. On Friday afternoon, before the final gala dinner, there will also be a tour of the main historic and artistic sites of interest of the city of Padua, where the company has had its headquarters since 1927. «This two-day event is tangible proof of the importance Diemme attaches to establishing itself on the foreign markets with transparency, with a spirit of collaboration and as a dependable partner», explains Giannandrea Dubbini.